BLKFT takes the lead on music direction for Otahpiaaki 2018. A whole new take on Soundcloud, everyone is invited to the TREATY YO SELF HIP HOP INSPIRED AFTER PARTY atop the Calgary Tower. We conclude PRIDE & PROTEST with this music showcase organized by Drumbeat Productions (Richard Sparvier (Siksika Nation); Indigenous Resilience in Music (IRIM) Curtis Lefthand (Siksika, Ampskapi Piikani, and Stoney Nations); and HEAL (Helping Every Artist Live) Alanna Onespot (Tsuut'ina and Siksika Nations). Check out the BLKFT RezHouse flows. TREATY YO SELF performers include Nite Sun (East Prairie Métis Settlement); BLKFT (Siksika Nation); JB The First Lady (Nuxalk & Onodaga Nation) and Naát'áaníí Nez Means (Oglala Lakota/Omaha/Dine, Navajo Nations). JB THE FIRST LADY (Nuxalk & Onondaga Nations), is a Vancouver-based hip hop and spoken word artist, beat-boxer, cultural dancer and youth educator. With four studio albums under her belt, JB sees her songs as a way of capturing oral history, and isn’t afraid to write lyrics that speak to challenging subjects like residential schools and missing and murdered indigenous women. She returns to the Otahpiaaki live talent line-up for 2018. Check out her new track Still Here (2018). 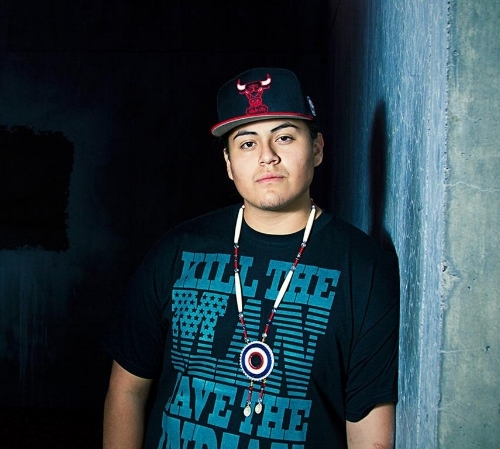 Naát’áaníí NEZ MEANS (Oglala Lakota/Omaha/Dine, Navajo Nation) is a hip hop artist, Oglala Lakota, Omaha, and Diné, born and raised in Chinle, AZ on the Navajo Nation in Arizona. At 11, Naataanii was writing poetry and involved with music, encouraged by his father Russell Means who transferred his gifts and legacies of activism and achievement as the co-founder of the American Indian Movement. Means has been championing Indigenous issues since he began making music in 2009 while studying at the Institute of American Indian Arts in Santa Fe. 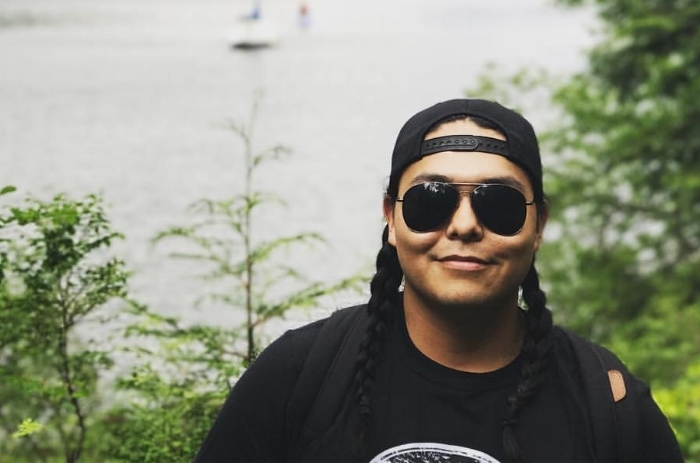 Naataanii is a water protector, an occupant at Standing Rock, and most recently at the Mount Music Festival protesting the Kinder Morgan pipeline. Balance (2018) is available on iTunes.